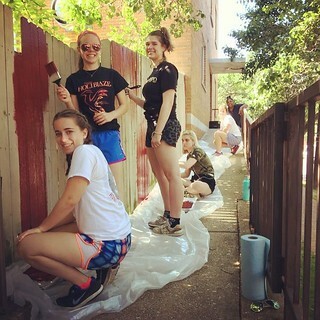 On the heels of a week long immersion in service, sisterhood and Salesian spirituality, otherwise known as VISTORY, a few of the 26 girls from Visitation schools around the country took time to reflect on their experiences in the Twin Cities, Minnesota. We applaud these young women and their parents, mentors and teachers who are cultivating their education and faith formation in and through the Salesian charism and tradition. Check out the following video reflections from our YouTube channel that feature students from Georgetown, St. Louis and Mendota Heights Visitation Schools. My blog posts lately have been about my recent experience as a planning committee member and chaperone for VISTORY, which was held last week at the Convent of the Visitation School in Mendota Heights for students from Visitation high schools as well as our monastery here in north Minneapolis. The first one was called ‘Soup D’Jour’ and for some reason most of them have had a food or meal theme. It is perhaps time to consider the next course…dessert —- that oft so-sweet finishing touch to a sumptuous meal that could put us right over the edge….in need of a good nap. Being with high-energy, sometimes silly but more often, serious spiritual seekers for a whole week is very nurturing. My spirit was nurtured as with the students I heard speakers on the issue of immigration; baled hay and cleaned stalls at a horse farm and created games and skits to share the week’s experience of Sisterhood, Spirituality and Service. For me VISTORY came to such a finish —- true, it was exhausting….but more importantly it was a just plain sweet experience. Being with high-energy, sometimes silly but more often, serious spiritual seekers for a whole week is very nurturing. My spirit was nurtured as with the students I heard speakers on the issue of immigration; baled hay and cleaned stalls at a horse farm and created games and skits to share the week’s experience of Sisterhood, Spirituality and Service. Many cultures complete meals, not with something goopy or dripping with sugar or whipped cream but with crisp fruit and flavorful cheese. I am relishing this finishing touch to the VISTORY 2011 feast. 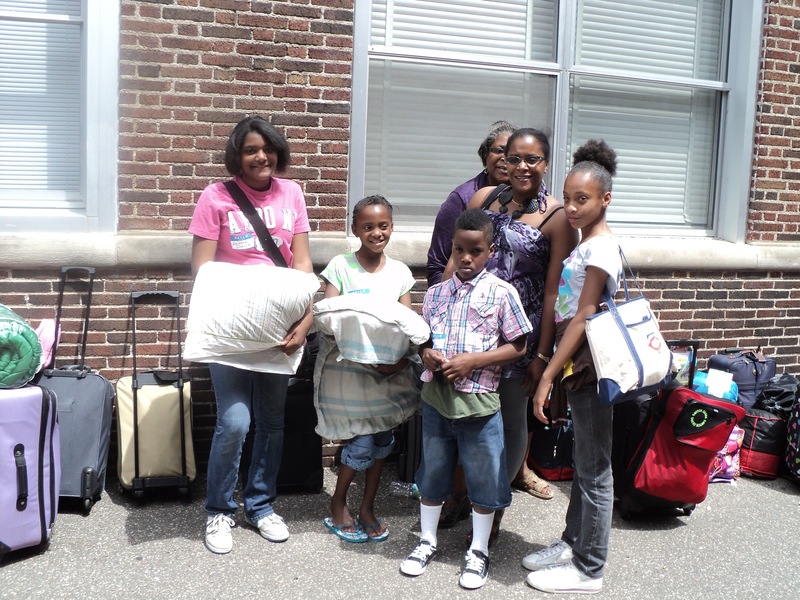 I feel the exhuberance bursting forth from the girls as they return to school for another year of Living Jesus! in a Salesian environment and I am buoyed up by the certain feeling that I have that last week will bear much fruit in their lives and those of their friends and families. It has already done that for me. I have been renewed by the holistic offerings of VISTORY and challenged to go forth and share abundantly of the its fruits. Bon appetit! To read other blogs by Sr. Suzanne, click here. What's on tomorrow's menu? Will it be the "same old same old" or an exciting, tantalizing soup d'jour? Building Blog inspired by Maya Angelou quote. What are your “nights of work”? What “hours of hope” can you identify, in the spirit of Maya Angelou’s quote? What tasks consume and inspire, feed or nurture you? How does any of this translate into “meal making” and enthusiasm for your life’s menu? How often have our efforts fed or nurtured others? Were there leftovers to be shared? Did everyone save room for dessert? What’s on tomorrow’s menu? Will it be the “same old same old” or an exciting, tantalizing soup d’jour? Oh! The joy of cooking! 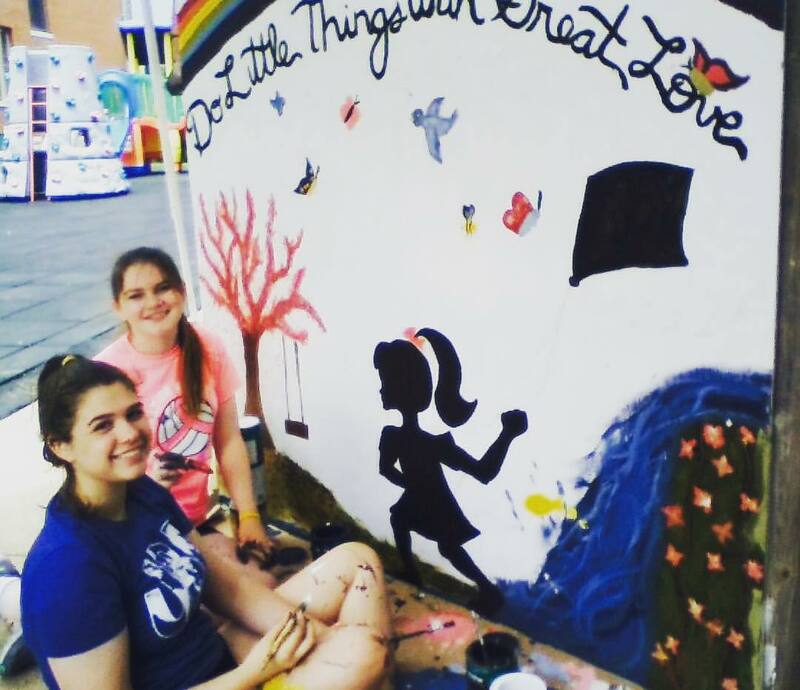 The following blog post is the first in a series about VISTORY: Visitation in Service to Others through Responsive Youth. 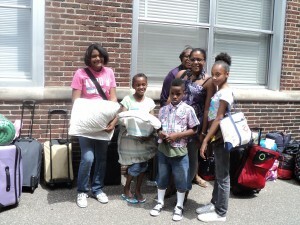 We welcome Visitation students from around the United States to Minneapolis on Saturday, July 16, 2011. Daily journaling has been an integral part of VISTORY. For the past several years I have been the one to introduce participants in this week- long adventure of Sisterhood, Salesian Spirituality and Service to the fine art of journaling. As a former journalism teacher I always begin my presentation with the 5W’s of a good news story…Who, What, Where, When and Why (and sometimes How). These words function as a trigger for the students to begin a reflection on their day’s activities. “Who have they met or served?” “Why did I react like that?” or maybe “What is God saying to me in this?” Such triggers help the thought process and begin the serious look at our daily experiences…our own life’s journey. As I look forward to companioning VISTORY students and helping them discover this really fine art of writing, my own thought is that perhaps journaling, journalism , and journey come from the same root word…I have seen a form of that someplace in my own life’s experience…..When I was on pilgrimage in France for the 400th anniversary of our order I often saw the phrase d’Jour on lunch or dinner menus…as in “soup of the day.” Maybe this relates to the words highlighted above? Journaling can be quite productive if it is done on a regular, if not day-to-day basis. Journalism is responsible for giving us the daily news…by means of photojournalism….broadcast journalism and the printed word. And we move through life day by day…our journey is gradual with time for experiencing, reflecting upon, and getting to know ourselves and our God as we move on. As twenty-six high school students who have journeyed to the Twin Cities from around the country to be part of VISTORY (Visitation in Service to Others through Responsive Youth) move through next week they will be blogging on this website, preparing YouTubes, and maybe even Tweeting on Twitter. You can be a part of this journey. ps. I checked with Webster about word derivations. Bingo! Old French and Latin root meaning daily or day. Have a good one! What does the future of the Visitation Community look like? Our Visitation Internship Program (VIP) was launched this year, and two lovely young women recently completed their year of community service and in-depth experience of our charism. 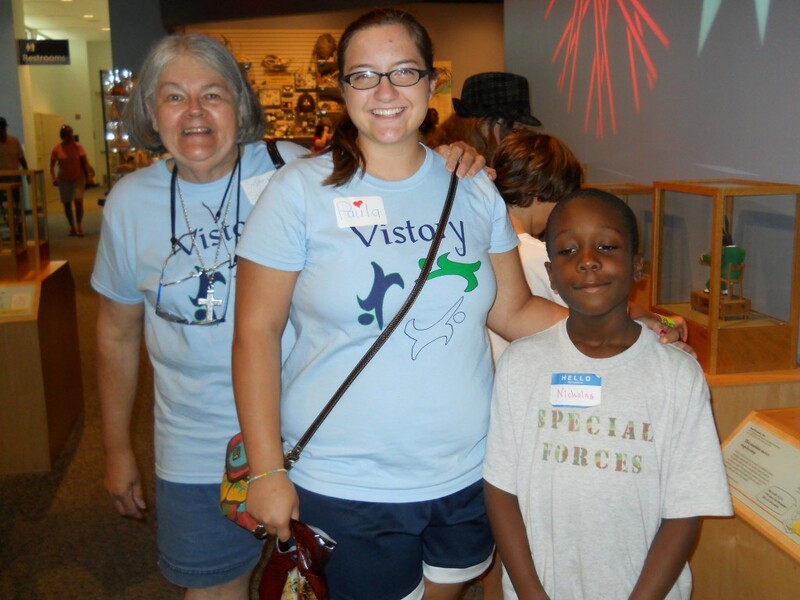 Children and their families enjoyed a myriad of activities: field trips as diverse as the Holidazzle parade, the Children’s Theatre, Minnesota Science Museum, & The Minnesota History Theatre, parties sponsored and run by Vicki Bailey and friends of Mendota Visitation, etc., etc. 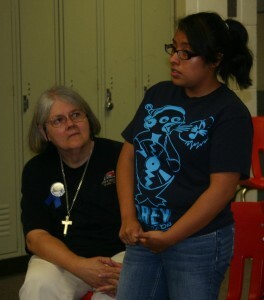 Mendota Visitation seniors were pioneers during their community service weeks here from May 21st thru May 31st. Instead of going to Guatemala, they came to North Minneapolis! It was a great Mission Trip right here in the city!!! The school motto “Not for School but for Life” was in full swing. 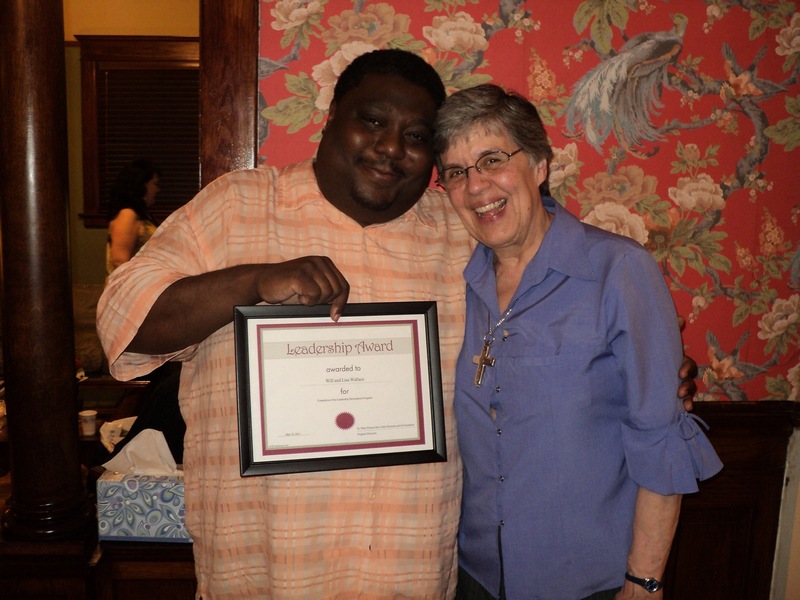 Our dear Sister Karen recently completed six years of selfless and Spirit-filled leadership of our community. 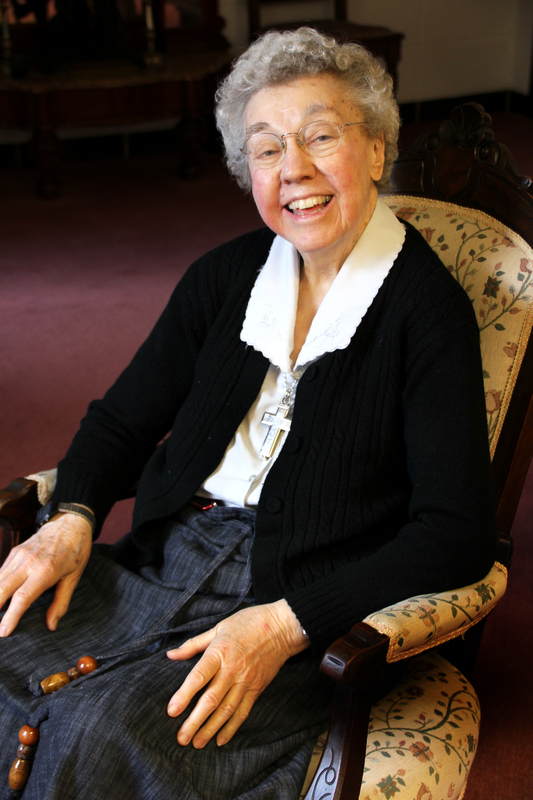 Sister Mary Frances succeeds her and will endeavor to follow her example of empowering the gifts of each of our Sisters and lay counterparts. 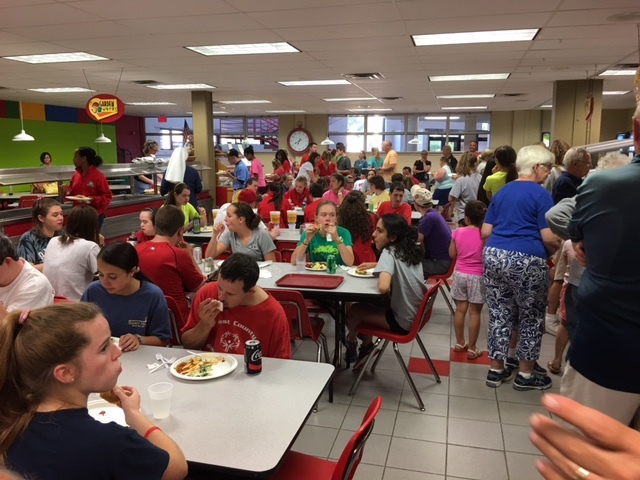 Thanks to the generosity of many benefactors & volunteers, we were able to send 75 children and 7 teen “Counselors in Training” to Catholic Youth Camp in McGreggor, MN; 4 teens to St. Louis to participate in Vistory, a program which brings Visitation students from around the country together to serve and learn about Salesian spirituality; and 2 teens to an intensive program at St. John’s University: YTM, Youth in Theology and Ministry . . . As Father Michael O’Connell often says, “Our youth are our future.” We are grateful for opportunities to affirm and form them in positive ways. We recently welcomed the first participant into our Monastic Immersion experience, a 6-month stay in our monastery. Not unlike St. Jane de Chantal, Marsha West, who hails from Forks, Washington, has had many life vocations as wife, mother, grandmother, widow, and on and on! She brings many gifts our way and we are happy to share our life with her. Welcome Marsha! We are in the process of interviewing New VIPs for the coming year. 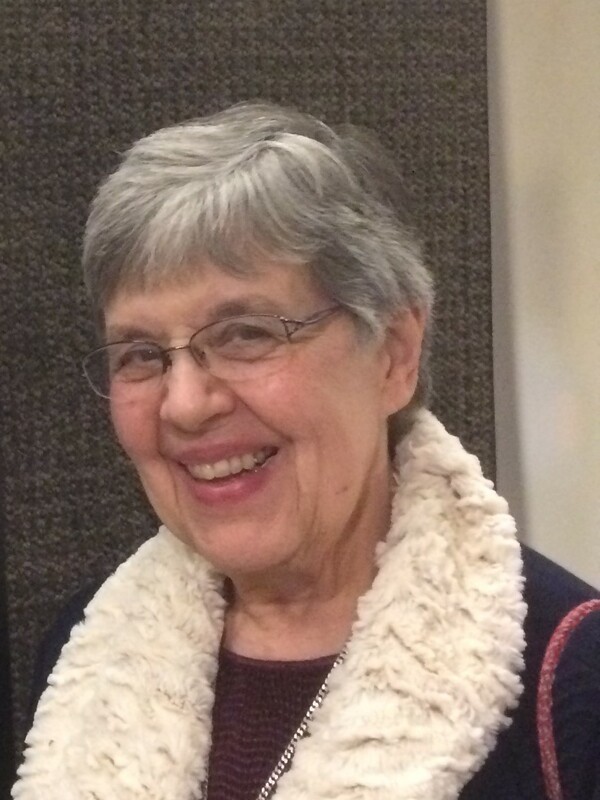 Our dear Maryann Pearson has “retired” as coordinator of the Visitation Companions, our lay community. Thanks to her untiring dedication, we have about 15-20 members! Jody Johnson has accepted the role of coordinator and will work with Sr. Mary Frances and Linda Goynes to keep the movement growing. *Published in our Summer Newsletter – which you can view in its entirety here. "bloom in the garden where He has planted..us..."
I’ve been doing a fair amount of gardening lately. Last weekend, I rented a sod cutter and took up a 6′ x 20′ stretch of grass and clover with the intention of putting in a perennial garden. The goal of having plants return each spring, enlivens me; the labor necessary to make this happen is staggering and also invigorating. I have to really work the soil and tend to the roots I put down if I really want things to grow — if I’m invested in the future of this garden. The garden’s sustainability, tender beauty now and in days to come, requires not only my diligence, but the support of knowledgeable beings, ongoing attention, and faith. This process takes me closer to my beloved Visitation Community. 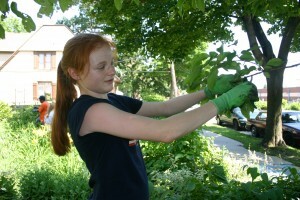 I think of how their presence in north Minneapolis is akin to that of a gardener’s. For the last twenty three years, the Visitation Sisters have been putting down roots, cultivating soil, tending to young seedlings, nurturing mature plants, and celebrating the harvests of their labor. They have done all this work quite literally in their back yard gardens, as well as figuratively, in their ministry of prayer and presence — living the Visitation charism. And the Sisters, not unlike their soil, many landscapes and neighbors, have been transformed by the process. They take my breath away, these gardening nuns. I ache with awe, wonder, love, joy — such deep appreciation for how they have nurtured me, personally, over the past decade or so. I feel like one of their tender shoots that has blossomed, in many ways, by virtue of their love and special care. I know I am one among many, hundreds, thousands, millions? of people that has felt touched by this community, inspired to return time and again, not unlike a perennial plant or being. What does the future of this monastery in north Minneapolis look like? What seeds have been planted that are deeply rooted after twenty three years? 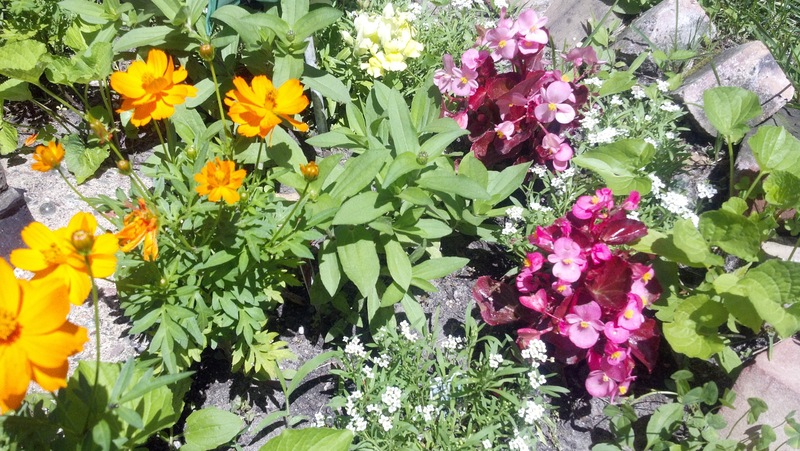 What perennial plants exist on a literal level, and how do they manifest in a figurative way? Who are the community members, friends, lay associates, companions, discerning individuals that feel called to return and thrive in this spiritual setting? What does God’s garden look like at 16th and Fremont and 17th and Girard? 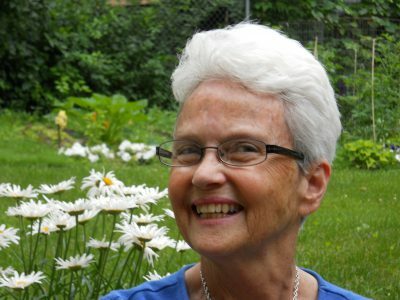 How do other literal and spiritual gardeners join the ranks of these sisters to continue to plant and nurture life, and in turn, be nurtured, even transformed, by it? Everywhere I turn in the Visitation Community, I feel like I can point to other “seedlings”, if you will…. 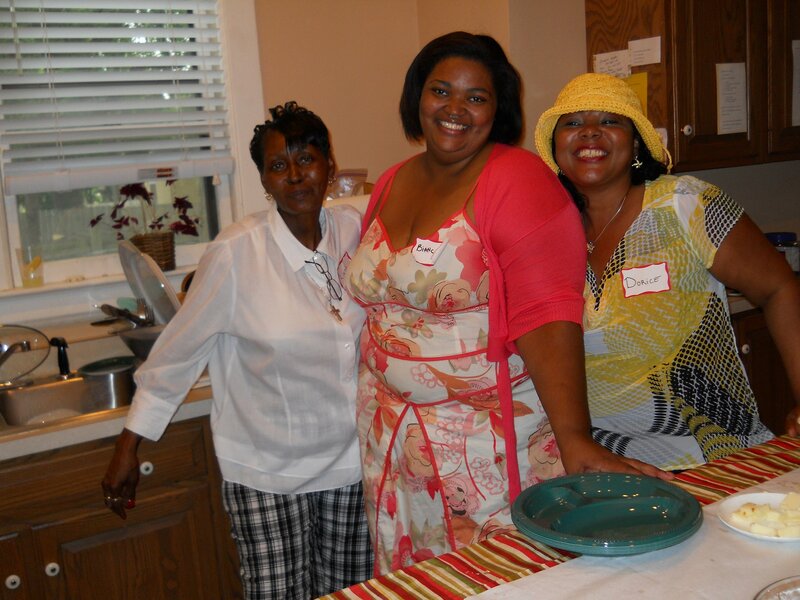 As they say in our neighborhood, we are “Blessed and Highly favored”; the list below of several of the summer events/happenings is not exhaustive, but gives a glimpse of the fullness and fruitfulness of our life “in the ‘Hood”—graced in so many ways! June 4-Our dear friend Vickie Bailey and her daughter Betsy provided a party for the neighborhood children to “Get ready for Summer”….Teens ran the games which included prizes like jump ropes, beach towels, chalk….everything “summer”! About 50 participated. June 5 – We joined the communities of Ascension and St. Phillips as the churches ritualized the merger of the parishes. 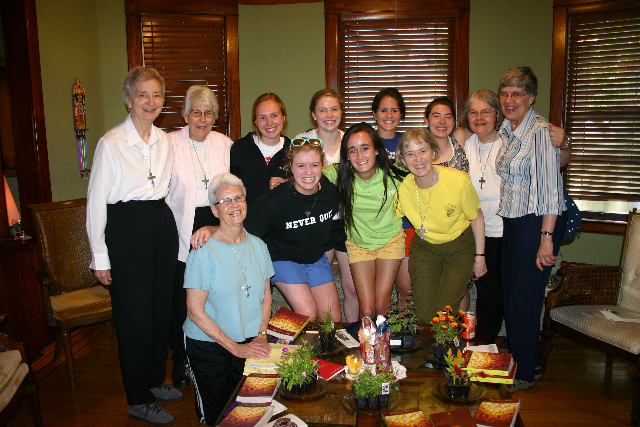 June 5 –Visitation Senior Graduation– Sr. Mary Frances was honored to lead the invocation and blessing at this event. 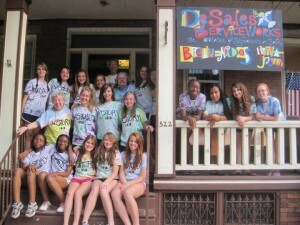 June 11-17-Three Teens from North Minneapolis joined 50 others at the Salesian Leadership Camp in Michigan. 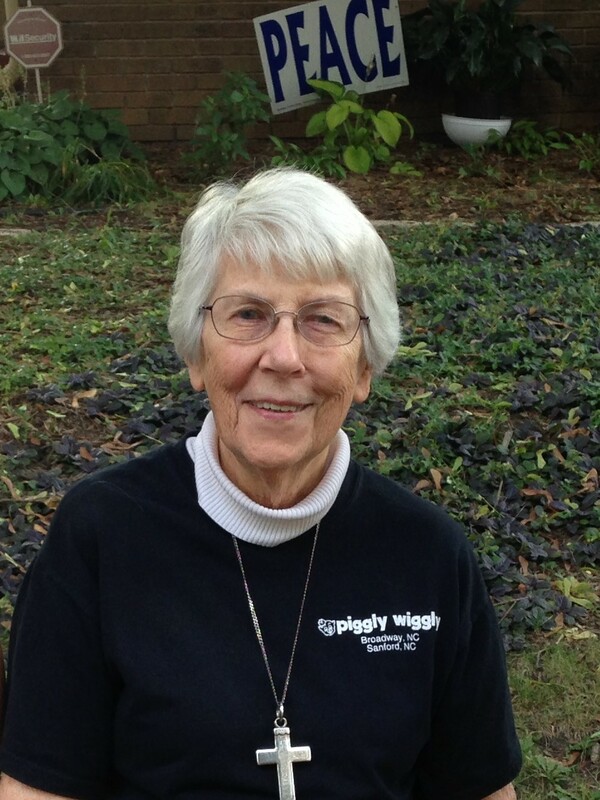 Sr. Karen, who founded the camp 22 years ago, joined them for the week. 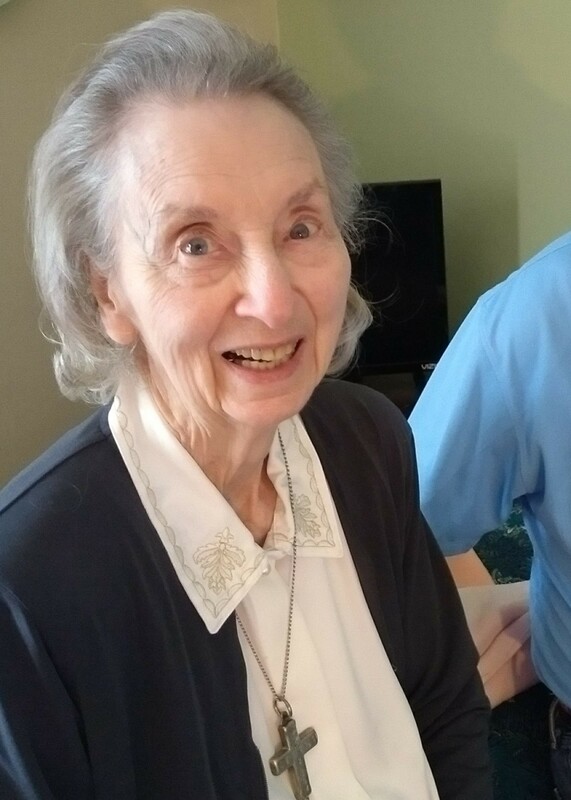 June 10-We were honored to join St. Jean, founder of the Cookie Cart-an employment bakery for youth- as she was celebrated for her selfless ministry. June 12 – We joined From Death to Life, an organization of men and women who have lost children to violence on our streets, in a Peace/Prayer walk which circulated throughout the neighborhood. June 19-24 – Ascension Church and Visitation Monastery sponsored 70 children for a week long camping experience at Catholic Youth Camp. Even the rain did not deter them from having an experience of a lifetime! June 20-24-The Sisters traveled to St. Louis to join 50 other Visitation Sisters for the last hurrah of our 400th Anniversary of the founding of the Order. 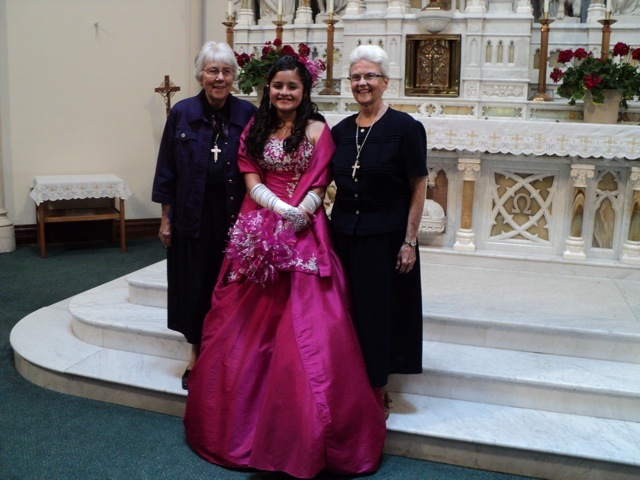 June 26– We Sisters have our annual Corpus Christi procession in which we take the Blessed Sacrament to places of violence and tornado destruction and pray for peace in our community. July 6 -We will prepare an ethnic dinner for some of our neighbors and friends from Mendota Visitation. This dinner, which will be served at our monastery, is purchased by the latter and is an opportunity to bridge communities. 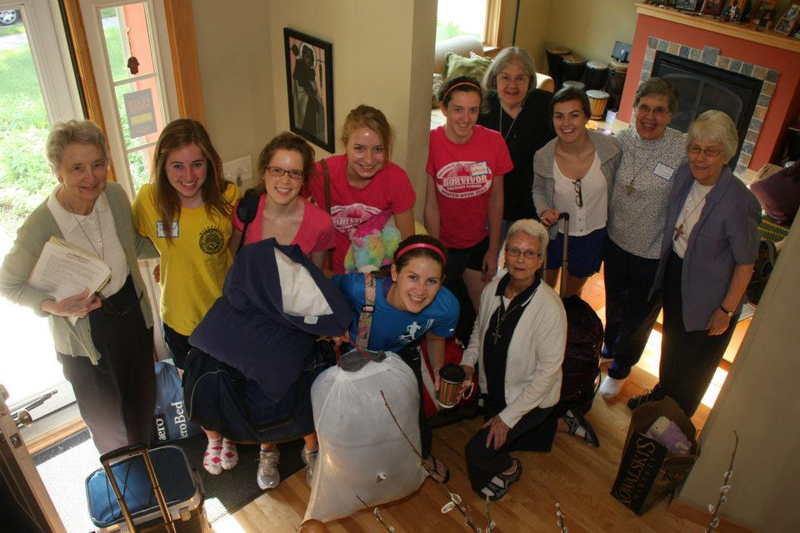 July 29-30 – Catholic women ages 18-45, who are discerning religious life, are invited to join the Visitation Sisters of Minneapolis, MN for their Come and See Weekend. August 3 – Neighborhood Night of peace, an event that draws 400-500 people-will be held at Ascension Church. We partner with Ascension, Basilica and Mas Jid Anur to provide a free supper, games, prizes and community speakers. As the title connotes, this is just one effort to bring people together in harmony and peace. We’ll keep you posted…Perhaps you’d like to volunteer! August 27-Last but not least! 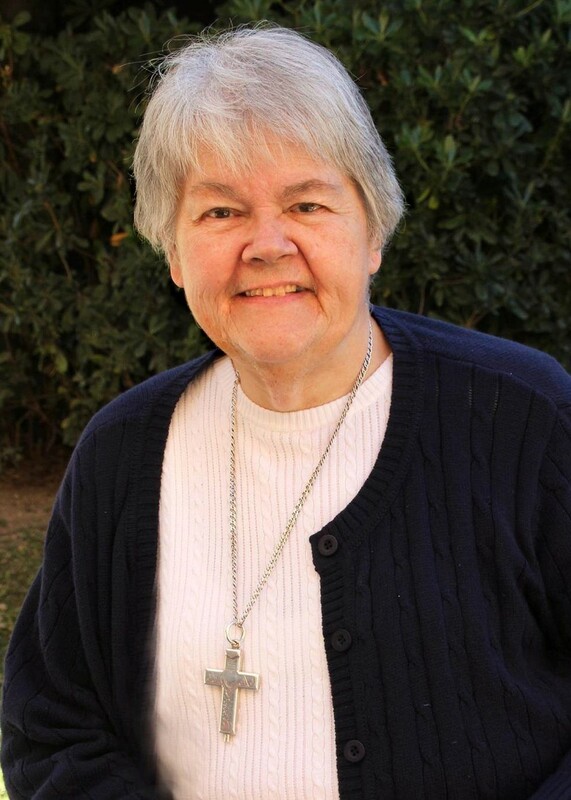 SR. KATHERINE’S JUBILEE!!!!!!!!!!!!! and too many great-greats to count! After many, many years, I have actually crossed the river! 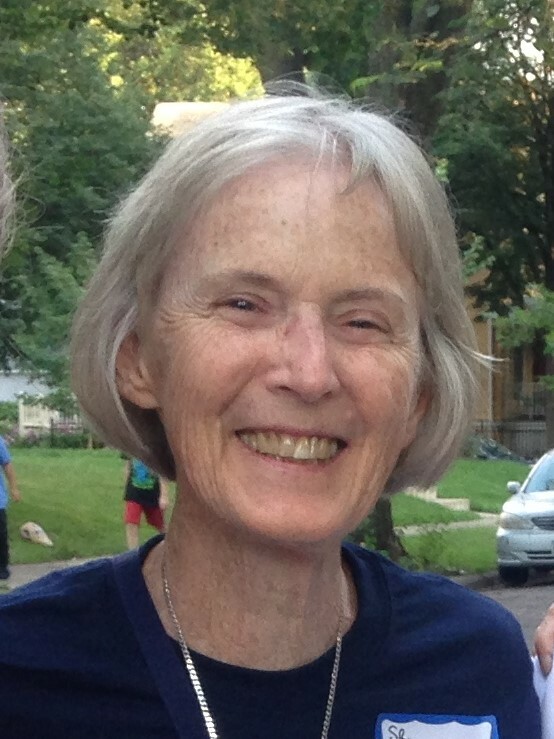 I, Sister Mary Paula McCarthy, grew up just a block from the Mississippi—on the St. Paul side—never expecting to be a Minneapolitan. I was the seventh of eight children in a strong Catholic family. We all went through St. Mark’s Grade School, followed by St. Thomas Academy for the four boys and Convent of the Visitation for the four girls. It was at “Vis” that I fell in love with what has been called “Inspired Common Sense,” the mode of spirituality lived and and taught by Sts. Francis de Sales and Jane de Chantal. After four great years at the first (and I say the best) women’s Catholic College in the U.S.—Trinity in Washington, DC—I entered the Visitation community in 1951. I have taught, over the years, almost every subject except science, to those of every age from fourth graders through adults. 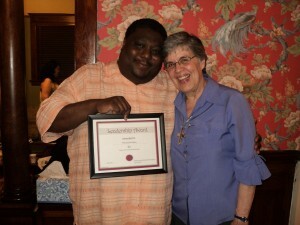 I have completed graduate programs in Educational Administration, Guidance/Counseling, Linguistics, and Theology. Usually, a Visitation Sister enters one monastery and remains there for her entire life, but I have had the opportunity to study and/or work at Visitation monasteries in Georgetown, DC; Baltimore, MD; Wheeling, WV; and St. Louis, MO; as well as in St. Paul/Mendota Heights, MN. I also have had the special permission to work at the Center for Religious Education at St. Thomas College (now University). There we prepared lay persons for Church ministry through parish and other programs. As Associate Director, I helped to develop a graduate course, now conducted at St. Paul Seminary as MAPS (Master of Arts in Pastoral Studies). As I reflect on my life, I can sing, “These are a few of my favorite things”: planning/directing worship; history (especially Salesian and Minnesotan); chaperoning high schoolers in VISTORY (Visitation In Service To Others through Responsive Youth) for twenty years; travel—two pilgrimages to Israel, two to France; planning/administering annual Salesian Conference for twenty years. Hello! I am a native of Minnesota, born and raised in Minneapolis. Attending high school at Visitation in St. Paul gave me the best of both worlds! It was there, at Visitation that I met the best nuns in the world! After college at Marymount in New York, I entered the St. Paul Monastery and began a life of intentionally living the Gospel shaped by the spirit of Sts. Francis de Sales and Jane de Chantal, which invigorated me. I chose Visitation over other orders that I knew, because I found the nuns to prayerful, authentic and fun! Maybe I was hoping to be all those things too! I spent many fine years teaching at Visitation in the middle school and later had many wonderful years doing admission work for the school. I believe I had a “call within a call,” when I discerned that I was being called to transfer to the Visitation Sisters of Minneapolis in 2001. 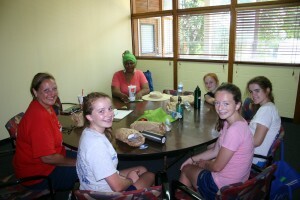 I am in relationship with our neighbors; tutoring children, helping with our teen group and various other groups, but you might say that my main engagement is to connect and visit with women all over the country as they discern their future in religious life or wherever God is leading them. My spiritual director gave me a catalog with summaries and pictures representing the various religious orders so that I could look for a “fit.” In those days it was our version of Match.com. The habits were important to me, because if I had to wear one, I wanted to look like it had meaning and was wearable. They were all questionable because they seemed so out of touch with authenticity and inspiration. I wanted to be a religious woman without facade, because, as in a marriage, there is so much work to do if you live relationally. I was a degreed RN by profession. When I turned toward the religious life, I searched out the contemplative communities for options because it was my way of initiating a life of wholehearted self-giving. My younger sisters’ name was Jane, and from early childhood I had a slight acquaintance with St. Jane Frances Freymot de Chantal whose name we loved to chant. After visits with several orders, I still hadn’t found the right fit. By the time I visited the St. Louis Monastery (the monastery where several of the Visitation Sisters originated) my options had run out. In spite of questions and concerns I knew I was going to have to make this one work if I really wanted to be a nun. I am a Marquette woman, educated by the Jesuits when they were doing much of their teaching in person. I wanted to be a Jesuit. Imagine my delight as all of the connections between the Jesuits and the Visitation unfolded. The Visitation, as the Sisters lived the contemplative life, was fertile ground for a neophyte exploring a life of prayer. I found the strong community life very supportive. Most of all, I found our Salesian Spirituality based on love and lived out in prayer and community to be highlighted with a wholeness/common sense that does not allow for the canonization of dysfunction. Living in this small, urban monastery in the “’hood,” I am inspired by my fellow sisters and neighbors. We interact, supporting one another in a spirit of faith and hope that has opened the way for God to build our beloved community out of the dailiness of lived life. This lived life is guided by the spirituality of St. Francis and St. Jane de Chantal who lived the Gospel as a way of love. I entered the Visitation Monastery of Minneapolis on All Saints’ Day in 1995. I was 46 years old, ‘a delayed vocation’ as some might say. I prefer to think of the various vocations, jobs and avocations throughout my life-time merely as stepping stones that God has put on my unique path through life. God is a God of surprises! I didn’t like the idea a kindergarten teacher suggested on a report card when she wrote, “would be a good teacher!” I fought against that idea in college by taking so many non-education classes that the only way to combine them by senior year was to put them under the umbrella of ‘teaching minors’. The result was a secondary education teaching certificate with enough areas of expertise to get me a variety of substitute and teaching positions from 7th grade to junior college, in several states and for several years. I was able to pay the bills and pick up 2 MA’s; travel to many places domestic and international and pursue a few glamorous careers such as news director at an NBC affiliate radio station and managing a coffee shop in a Victorian train depot! Along the way God was gently leading me down another path. One that included political activism; founding a Catholic Worker House, sponsoring a Vietnamese boat family; being a city council representative and working with youth at a teen leadership camp. This path made its way into and out of church groups, civic organizations and other places where God showed me his people —- people in need; people who had more than they needed; people who all were my brothers and sisters. 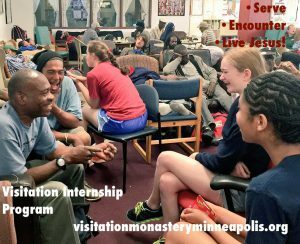 God invited me to make a permanent commitment to living life with and among His people and here I am doing just that in north Minneapolis. When we take vows in our community we expect to live right here until God calls us home, we transfer or we found another monastery. The God of surprises this year offered me the opportunity to attend an International Forum of Vowed Men and Women in Rome. This special gathering marked the end of the Year of Consecrated Life called by Pope Francis and I was able to meet with 39 other Visitandines from as far near as Brooklyn, New York and as far away as Rwanda. I look forward to the next stepping stone God will place on my path! unpressured spirit that drew me once I finally made up my mind to try the religious life. with God in the midst of this beloved community of sisters who had served as “family” to my mother. Montessori Education (Los Angeles Montessori Training Center), a Master’s degree in Administration (St.
Thomas University), and a Master’s degree in Religious Studies (St. John’s University). “be oneself and be that well.” They were always available to me. department. I am grateful for the small role I played in the formation of young people. prepared a contemplative heart in you; now take it to the poor,” a voice seemed to say. gifts to share and to receive love from the people who are our neighbors. you guess my birthplace? Yes, my family is from St. Louis, Missouri, and Sister Karen Mohan is my name. with its invitation to open my heart to the depths of love that God offers. Spirituality have enabled me to serve the Lord as an educator and spiritual guide. come to pray or just be with us. You’re welcome, too! this “exchange of hearts” (St Margaret Mary). What is different about what I professed on May 12, 2018? As a child, I professed my faith. As an adult, I professed my commitment to live my life in a particular way. Jesus has given each of us his heart. How each of us receives and shares that gift looks different. For me, it has led to Catholic Religious Life and the Sisters of the Visitation in Minneapolis. I am choosing to live what is called a “vowed life.” I vowed to live the evangelical counsels of obedience, poverty and consecrated celibacy in a very particular and public way on May 12. Yet each of us must choose to live our life according to the gifts and callings of God—we often call this our “vocation.” No vocation is any better or more spiritual than another. No matter our vocation we are all called to LIVE+JESUS. We are all called to let the Spirit lead… encourage…transform us in difficult yet life-giving ways. I thank you for the gift of your prayers and your presence at my profession and as I begin a new chapter in my life as a vowed Religious with the Sisters of the Visitation in Minneapolis.